At a time when advisors are scrambling to lock in their client’s RRSPs, the investment vehicle has taken a slide and one advisor believes significant new challenges lie ahead for advisors as they get their clients’ thinking about retirement. “They have a pension at 60 or 65 years old or their retirement date is too far off in the distance to worry about planning,” AJ Chase, a wealth advisor with Scotia McLeod, told WP in an interview. “Some retirees believe they will not outlive their money or they will retire passed the age of 65 and keep working. Others also believe that TFSAs are better than RRSPs because a withdrawal from a TFSA is not taxed. 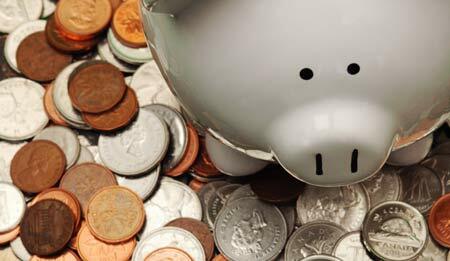 A recent poll from the CIBC shows that 54 per cent of Canadians will not be making a contribution to their RRSPs. The poll, released Monday, shows that only 32 per cent of Canadians surveyed plan to contribute to their RRSPs for the 2014 tax year while 14 per cent are not sure whether they’ll contribute. Of the Canadians who said they were still planning on contributing, most of them do not have the money for their contributions set aside. Approximately 50 per cent said they planned to get the money for their contributions by taking it from their earnings. The news comes at a time when advisors are scrambling to lock in their client’s RRSPs before the March 2 deadline. It also comes after Statistics Canada reported a 4.8 per cent increase in RRSP contributions between 2012 and 2013. "It's very challenging to save up a year's worth of your RRSP contribution in the few weeks before the deadline," Christina Kramer, executive vice-president of business banking at CIBC, said in a release. "Among those who intend to contribute but don't have any money set aside, there is a chance that some of them will miss out on contributing this year as well." Alberta, Newfoundland and Labrador, and the Yukon reported some of the largest increases during that period and every province saw increases as Canadians contributed an average of $3,000. Calgary reported the highest RRSP contribution at $4,200 while Toronto stood at $3,550; Winnipeg ranked amongst the lowest at $2,330, according to numbers from Statistics Canada. The report encouraged Canadians to find an advisor to handle their portfolios and also called Canadians to plan to contribute a year in advance to avoid the late crunch. But one advisor says that Canadians need to do more to ensure they’re financially on target and saving money aside from contribution plans. “If one thinks they can enjoy retirement on CPP, OAS, GIS and no other savings, they are dreaming and need to pull their heads out of the sand,” said Ken MacCoy, a certified Health Insurance Specialist at Ritepartner Financial Services. His comments back up another recent survey from Franklin Templeton Investments, which cites that more than 85 per cent of Canadians who were polled are worried about running out of money during retirement while 39 per cent of current retirees acknowledged expense increase that impact their quality of life.